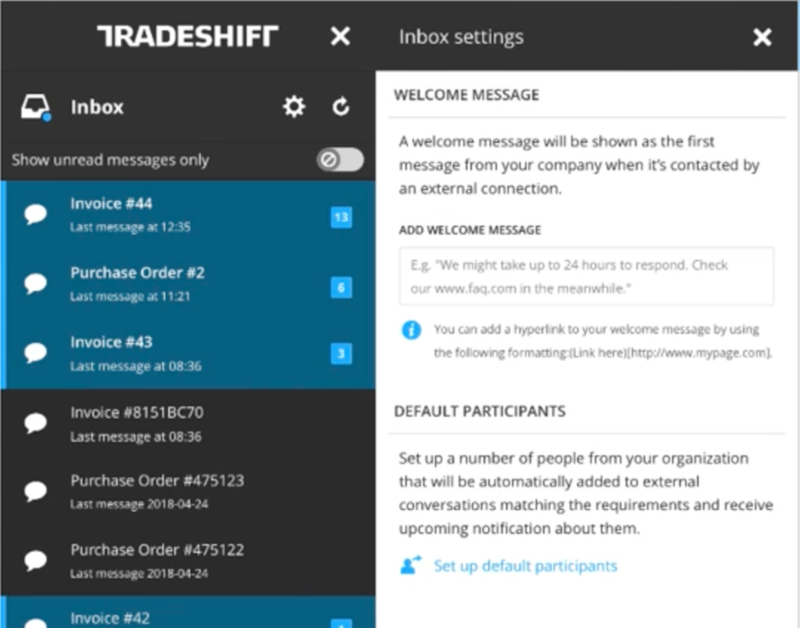 Notification emails with Tradeshift Pay related tasks have been enhanced for increased usability. 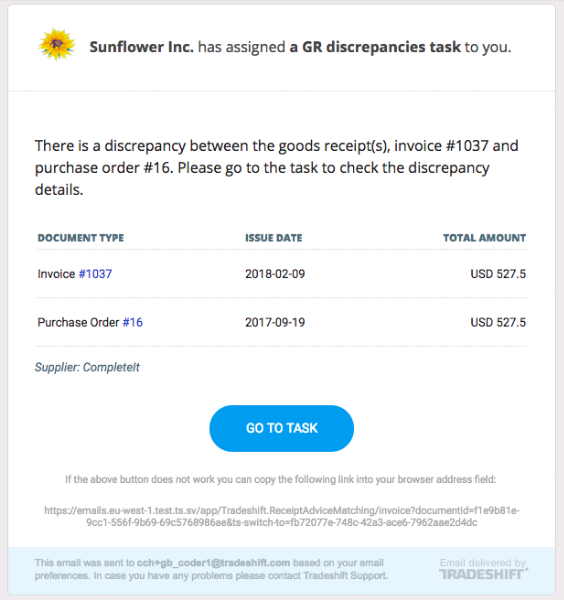 The new emails are more descriptive and actionable. Unread inbox messages will be highlighted with a blue overlay and a number indicating the number of unread messages for each conversation. The inbox icon at the top will also display a blue dot to indicate that there are unread messages in the inbox.